One of the latest break-though animated television shows that have hit the small screens is Rick and Morty. 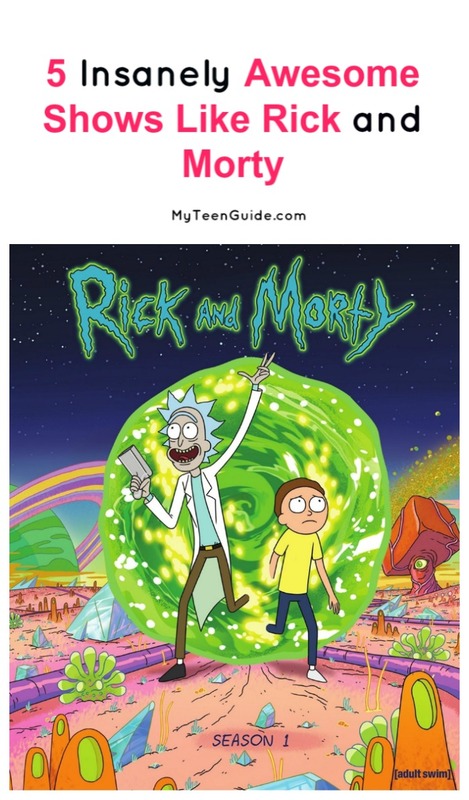 The show is all about the misadventures of a mad scientist, Rick, and his gullible grandson, Morty. The pair spends time together a family but also found themselves traveling in and out of inter-dimensions for all sorts of adventures. The third season of Rick and Morty just premiered on April 1 and episodes should run into summer. If you want to supplement your love of comic science fiction shows, look no further! Here are five shows that are similar to Rick and Morty. Aqua Teen Hunger Force is another show that airs on Adult Swim, just like Rick & Morty. The show takes viewers on the adventures f three fast food items, a ball of ground meat (Meatwad), french fries (Frylock), and a milkshake (Master Shake). The trio lives and goes on adventures together, despite their differing personalities. Master Shake is a pathological liar who is selfish, Frylock is intelligent and level-headed and Meatwad is simple-minded and not very bright. For some serious laughs, this is the show for you! Squidbillies has been on television since 2005 with an eleventh season premiere scheduled for summer 2017. The show is about a family of poor hillbilly squids who live in a muddy area found in the Georgia Blue Ridge Mountains. The show takes familial problems and makes them humorous, to include an alcoholic father, an aggressive grandmother and a teenage son who wants approval from everyone. This is the perfect comic animated show to binge watch, offering 104 episodes with more on the way! The Venture Bros engulfs viewers in comedy, action, and adventure in one animated television show. The show accounts the adventures and lives of two incompetent teenagers, their unethical and under-achieving scientist father, the family bodyguard, and the family’s arch nemesis, The Monarch. The look of each character on the show will definitely remind you of previous cartoons that have been featured on Adult Swim and Cartoon Network. Robot Chicken is a stop-motion sketch comedy animated t.v. series, which makes it extremely unique and fun to watch. Robot Chicken provides users a flood of satire, comedy, and parody. If you need a good laugh, this is the show for you! Robot Chicken doesn’t have a true story line but instead mocks today’s popular culture, to include fads, movies, anime, and of course, television. The show has been running since 2005 with no end in sight. Gravity Falls is an insanely popular animated TV show with a huge following on Disney XD. The show follows the adventures of Dipper and Mabel, twins who stand by each other no matter what. When their hometown of Gravity Falls is threatened by an evil spirit, they have to get help from family and friends to defeat it and discover the mysteries of their home. The show aired from 2012 to 2016. Have you seen any other great shows like Rick and Morty? Share below!